Agatha Sangma is being backed by the People's Democratic Front and Hill State People's Democratic Party, which are also part of the ruling coalition. 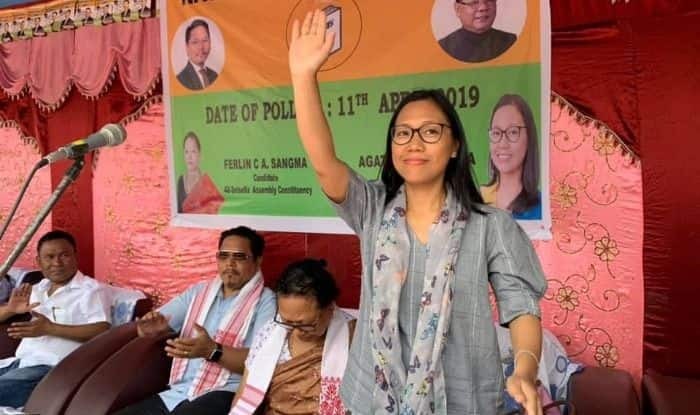 The Bharatiya Janata Party (BJP), which is part of the ruling coalition in Meghalaya but had decided to fight the Lok Sabha polls by itself, on Saturday announced its support to National People’s Party candidate Agatha Sangma in the Tura parliamentary constituency. However, the BJP has nominated its sitting legislator Sanbor Shullai as its candidate from Shillong parliamentary seat. “We have decided to support the NPP candidate in Tura parliamentary constituency since the party leadership has decided not to field a candidate,” state BJP president Shibun Lyngdoh told IANS. Agatha Sangma, 38, who is the younger sister of Chief Minister Conrad Sangma and daughter of former Lok Sabha Speaker Purno Sangma, was elected twice to the Lok Sabha from Tura and served as a minister in the UPA-II government. She is being backed by the People’s Democratic Front and Hill State People’s Democratic Party, which are also part of the ruling coalition. Lyngdoh said the BJP will campaign all out to ensure that Shullai, a three-time member of Meghalaya assembly, snatched away Shillong from sitting Congress member Vincent H. Pala. “We are hopeful that Shullai will win the Lok Sabha elections because of his popularity and his work for the downtrodden people. The electorate in Shillong parliamentary constituency will also vote in favour of the BJP since the BJP-led NDA government had brought development and initiated several schemes,” Health and Family Welfare Minister, Alexander Laloo Hek said. Apart from Pala, Shullai will face Khun Hynniewtrep National Awakening Movement candidate, T.H.S. Bonney and United Democratic Party nominee, Jemino Mawthoh, who is supported by the ruling alliance.